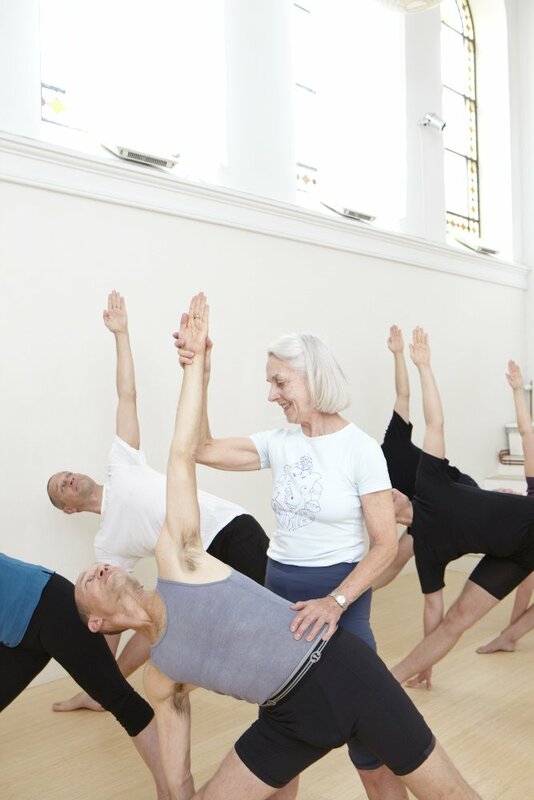 This Training is for you who would like a thorough and long-term course of three years time for immersion and deeper study of the Iyengar method. The education concludes with a practical and theoretical test, which provides an internationally recognized certificate “Introductory Certificate”. The name Iyengar® is a registered trademark, which symbolizes a global quality brand. With an Iyengar® yoga certificate, you become part of the best educated yoga teachers in the world. The “Introductory Certificate” allows you to further develop your education on Junior and Senior levels. After you have a few years of experience as an Introductory teacher, it would often feel natural to continue your training as a Junior Teacher. As a Junior teacher candidate you will practice and refine your ability to “link” poses, work deeper and integrate as well as learning to handle more complex classes and groups of students ..